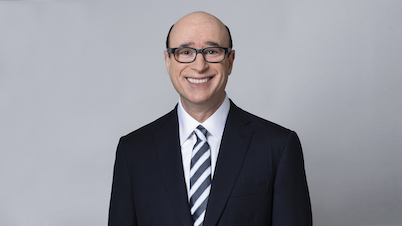 Bradley S. Jacobs is managing director of Jacobs Private Equity, LLC, and chairman and chief executive officer of XPO Logistics, Inc. (NYSE: XPO). Mr. Jacobs' track record in the business world is unique. He has founded five companies to date - including three publicly traded companies - and built them all into billion dollar or multi-billion dollar operations. In the process, he has led teams that acquired approximately 500 companies, raised over $20 billion of debt and equity capital, including two IPOs, opened over 250 new locations and created icons of business excellence across several industries. In 2010, Mr. Jacobs formed Jacobs Private Equity to make a substantial equity investment in a single company with the potential for exceptional value creation. He selected the logistics industry as a strong match to both his skill set and investment criteria: the industry is large, fragmented and growing faster than GDP, making it ripe to leverage scale and technology. On September 2, 2011, Mr. Jacobs created XPO Logistics, Inc. by making an equity investment of up to $150 million in Express-1 Expedited Solutions, Inc., a small U.S. logistics provider with approximately $175 million of revenue. The stock was publicly traded at the time on the NYSE Amex exchange. Today, XPO is a top ten global provider of transportation and logistics solutions, with over $15 billion of revenue. Jacobs Private Equity is the company's largest shareholder, and Mr. Jacobs serves as XPO's chairman and chief executive officer. Mr. Jacobs and his management team have built XPO as a cohesive, energetic organization spanning 32 countries, with 1,529 locations and more than 98,000 employees serving over 50,000 customers. The company is the industry's foremost champion of technological innovation and a leading service provider in fast-growing sectors, where demand is driven by e-commerce and outsourcing. In North America, XPO is the largest last mile logistics provider for heavy goods, the largest manager of expedited shipments and the second largest provider of less-than-truckload (LTL) transportation. XPO owns the largest European road fleet and is a leading LTL provider in Western Europe. Globally, XPO is the second largest freight broker and the second largest provider of contract logistics. Prior to XPO, in 1997, Mr. Jacobs founded United Rentals, Inc. (NYSE: URI) and created the world's largest construction equipment rental company in 13 months. In the 10 years that Mr. Jacobs ran United Rentals, the company's stock outperformed the S&P 500 Index by 2.2 times. By 2007, Mr. Jacobs had built United Rentals into the 536th largest public corporation in America, as ranked by Fortune magazine, with $3.9 billion in revenue and $1.2 billion in EBITDA. In 1989, Mr. Jacobs founded United Waste Systems, Inc. During his eight years as chairman and chief executive officer, he built the company into the fifth largest solid waste management business in North America. Its stock outperformed the S&P 500 Index by 5.6 times and delivered a 55% compound annual rate of return from IPO until the company was sold for $2.5 billion in 1997. At the time of the sale, the company was a highly integrated organization of 40 landfills, 86 collection companies and 79 transfer and recycling stations in 25 states. In 1984, Mr. Jacobs founded Hamilton Resources (UK) Ltd., a worldwide oil trading company, and served as its chairman and chief operating officer through 1989. During that time, he grew the company to annual revenue of approximately $1 billion through the execution of large contracts with major oil companies and oil-producing countries, and complex countertrade transactions. In 1979, Mr. Jacobs co-founded Amerex Oil Associates, Inc. and served as its chief executive until 1983. Mr. Jacobs led the team that grew Amerex from a concept into one of the world's largest oil brokerage firms, with approximately $4.7 billion of annual gross contract volume and offices on three continents. He oversaw all aspects of the business, including brokerage activities for refined petroleum products, residual fuels and energy futures, and personally directed all brokerage operations for international and domestic crude oil. Mr. Jacobs maintains strong relationships with leading investment banks, sovereign wealth funds and other buy-side institutions. He is an American Shipper Person of the Year, an inductee of the American Rental Association Hall of Fame and a member of The Business Council, Washington, D.C.
© 2010-2017 Jacobs Private Equity, LLC. All rights reserved.